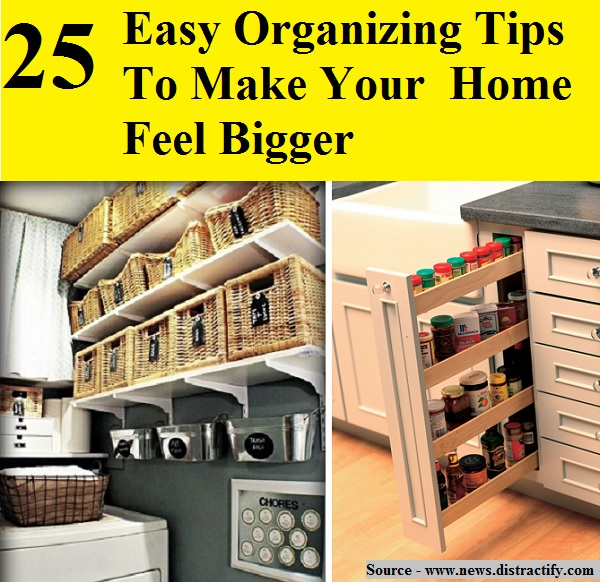 Whether you have a huge house or a small apartment, finding storage and organizational solutions seems to be a difficult chore. This goes especially for a smaller home or apartment. The need to find ways that "go outside the box" to store and organize your things. Maximizing all available room, such as walls and wasted spaces. Thanks to news.distractify.com for these 25 easy organizing ideas. Follow the link below to learn more.